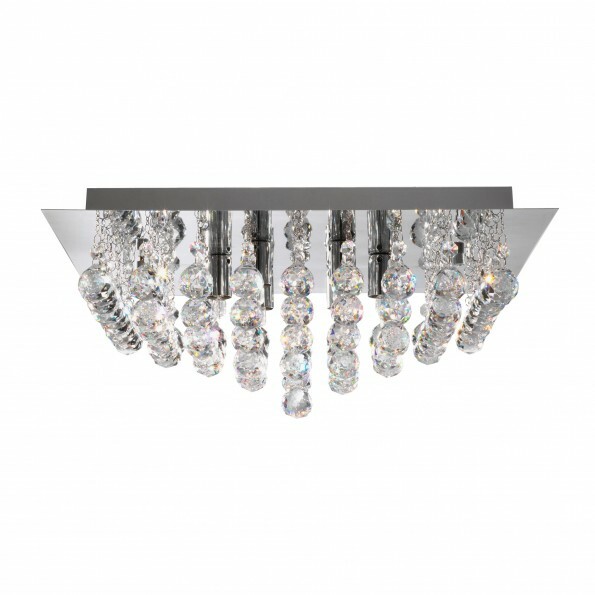 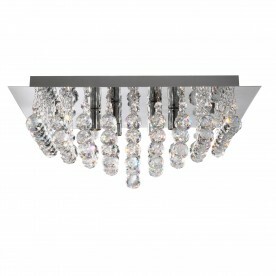 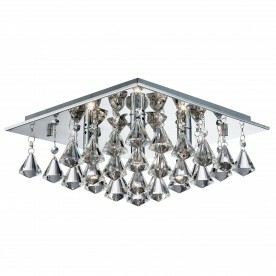 This Hanna Chrome 8 Light Square Ceiling Fitting with Clear Crystal Balls looks spectacular on any ceiling in your home. 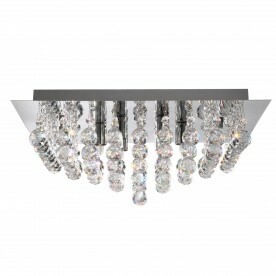 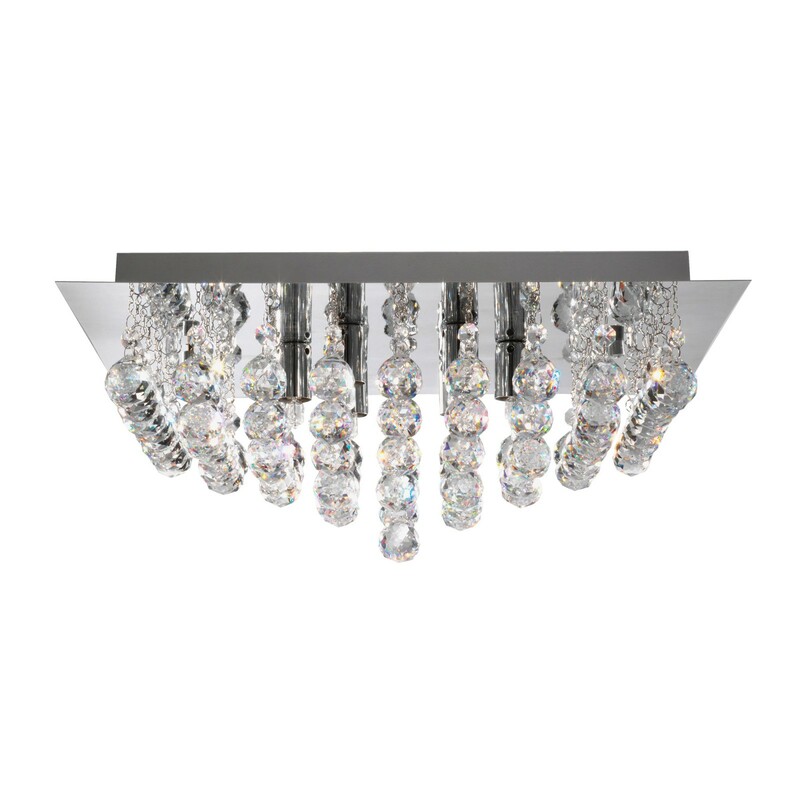 The luxurious light fits flush to the ceiling and features eight lamps surrounded by decadent crystal trimming and balls. 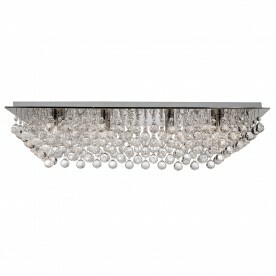 And the elegant square mirrored backplate completes the look of this large, contemporary chandelier.